The Decline of Haplogroup N1a: Who we are, how we came to be here and why there are so few of us left. Both stocks impacted by Völkerwanderung (5th century AD to 9th century AD), giving rise to Alans (Proto-Ossetians). Present-day presence of N1a in North Africa explained by migration with Vandals and Suevi in and around 429. 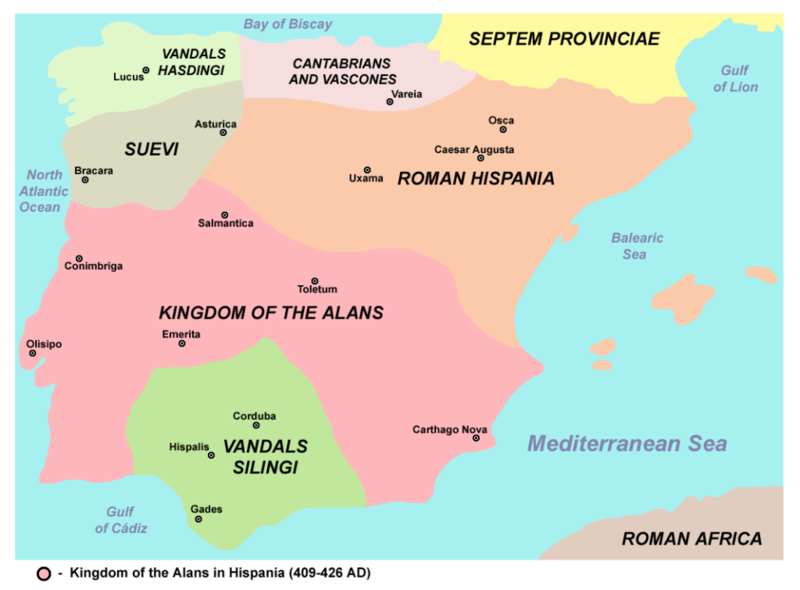 Presence in Europe attributed to forced split by Huns = European Alans (I) & Caucasian Alans (II), who populated the Northern Caucasian Plains and Greater Caucasus. Southerly dispersal of Haplogroup members subsequent to Khazar-Arab wars in the 8th century. Another alliance with the Khazar Khaganate in the 10th century was ruinous, as involvement in a succession of Arab-Khazar conflicts decimated Alania stocks already in jeopardy, as did a later alliance with Byzantines against the Khaganate. What remained of the proto-Ossetian peoples was again decimated by the Mongol invasions in 1238 which sought, like the Byzantines before them, control of the prized Darial Pass. This was unquestionably a hounded Haplogroup, and once its buffer state-like territory was conquered, a genotype predisposed to nomadic pastoralism as a strategy was soon at the mercy of a succession of colder, cosmopolitan strains, the strategy of which was and remains Divide et impera. You are not ethnically Yemeni. Present-day presence of N1a in North Africa explained by migration with Vandals and Suevi in and around 429. Presence in Europe attributed to forced split by Huns = European Alans (I) & Caucasian Alans (II), who populated the Northern Caucasian Plains and Greater Caucasus.